While I am usually looking at downtown Vancouver when I photograph in this part of Stanley Park, I usually point my camera towards North Vancouver as well. 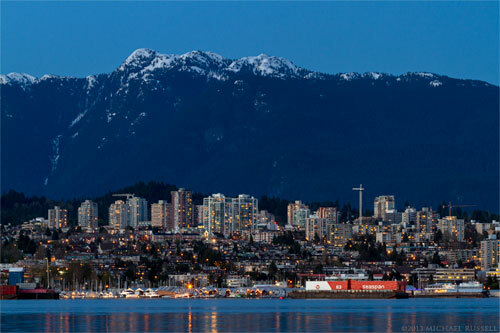 On this evening in April there was still some snow on the North Shore Mountains, which made for a great backdrop to North Vancouver’s lights in the early evening. 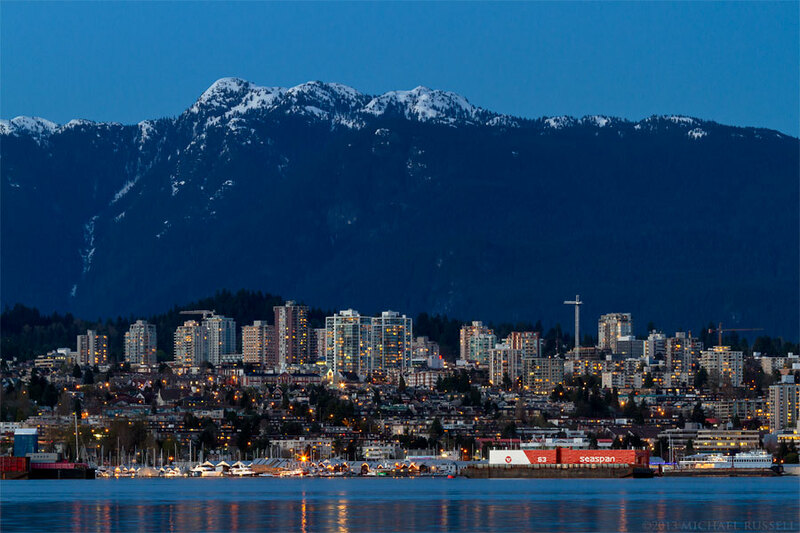 Crown Mountains is the peak in the background above the lights of North Vancouver. You can view more photographs of Cities and Buildings in my Image Library.